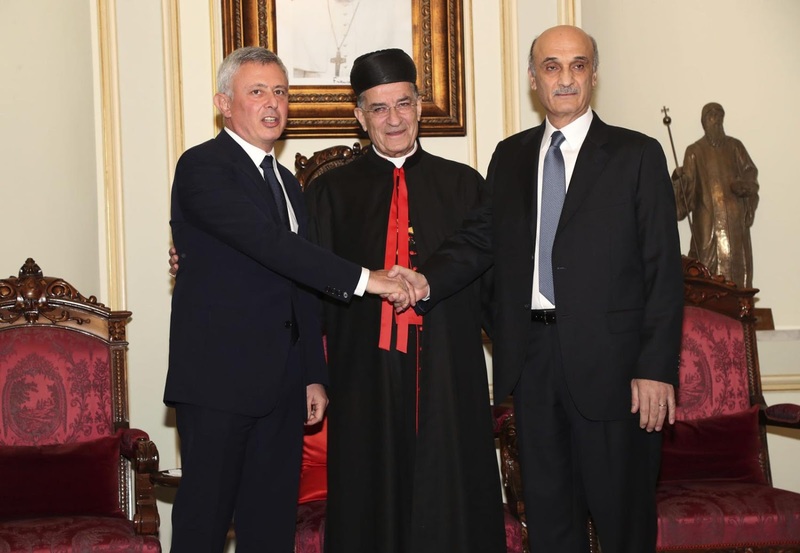 Lord, in a world more often focused on division than reconciliation, we rejoice in today’s bringing together of Christian rivals from the Lebanese civil war, Samir Geagea and Suleiman Frangieh. We are delighted that their symbolic handshake represents making peace after forty years of conflict. Lord, we have seen similar handshakes in the past that have not fulfilled their promises. We pray that Geagea and Suleiman will truly leave the past behind them and set an excellent example for their nation and the world through forgiveness and the seeking of prosperity for their land. Please bless Patriarch Bechara al-Rai in Bkerki for his role in brokering peace. And, Lord, we are moved that this is a second major move toward selflessness and compromise for Geagea, after he endorsed then presidential candidate Michel Aoun for the Lebanese presidency, ending his own rival candidacy for the position, back in 2016. We pray that Geagea, Suleiman, and President Aoun would provide superior leadership and set worthy examples for their people and others who observe. In Jesus’ name we pray, amen.